Last night we went out with a few girls from the office. We went to dinner and a movie. 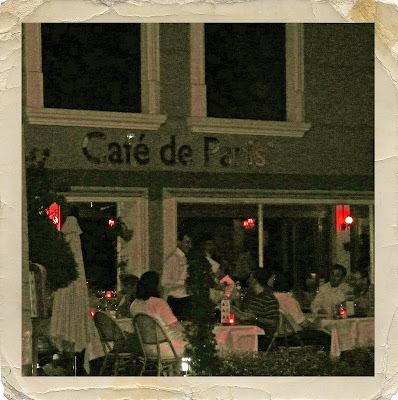 Here is the restaurant we went to...Cafe de Paris. Not a great picture but the best I could do after we left as it was dark. 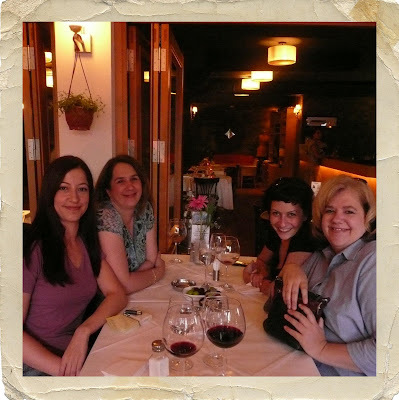 From left to right It is Basak, my sister Sandy, Asli (I don't have the Turkish I one my keyboard so it sounds like Asla) and me.